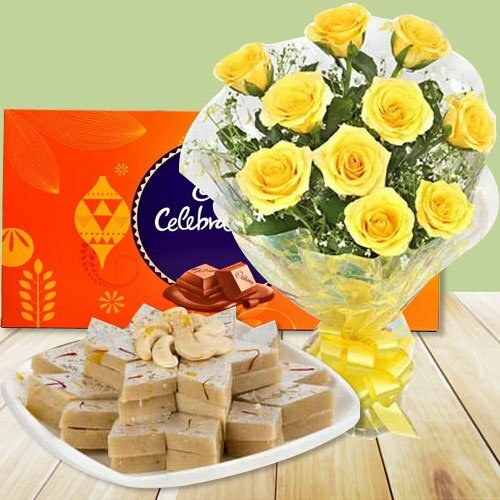 12 Yellow Roses with Cadbury Celebration(117 gms.) and Kaju Katli(500 gms.). 12 Yellow Roses with Cadbury Celebration(117 gms.) and Kaju Katli(1000 gms. ).